Doctrines and thoughts incite you every moment today. This is an odd moment. Fear from the happenings in history drives you. Who would be the one to win in the fight against fear and sing the song of victory on a personal level? There is no one. Which direction will history take? Where will the cry for new hope and new liberation come from at this time, when death is surging over us? No cry is yet heard. This is the problem. Now something totally new must come out, something unimagined. You have never imagined or dreamed of that something. Richard: Spirit world should seamlessly connect with the physical world. Now this has been made possible by the restoration brought about by Rev. Sun Myung Moon. yet exist in the spirit world or on earth. Richard: This scripture is from 1987. The first scripture above, from 1992 indicates that this has now been restored. 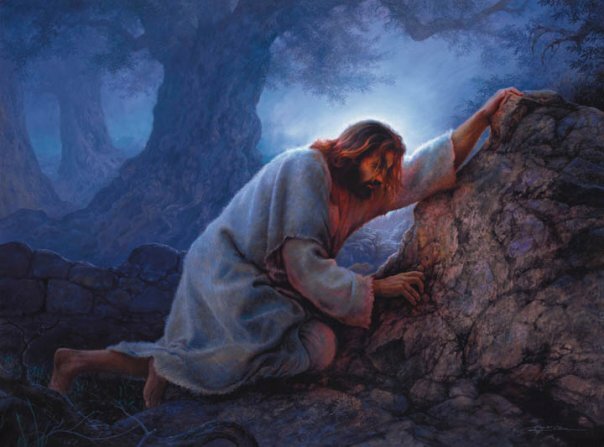 10 The Lord told me to chisel out two flat stones, just like the ones he had given me earlier. He also commanded me to make a wooden chest, then come up the mountain and meet with him. 2 He told me that he would write the same words on the new stones that he had written on the ones I broke, and that I could put these stones in this sacred chest. 2 King Nebuchadnezzar[a] of Babylonia had captured many of the people of Judah and had taken them as prisoners to Babylonia. Now they were on their way back to Jerusalem and to their own towns everywhere in Judah. 2-20 Zerubbabel, Joshua,[b] Nehemiah, Seraiah, Reelaiah, Mordecai, Bilshan, Mispar, Bigvai, Rehum, and Baanah were in charge of the ones who were coming back. And here is a list of how many returned from each family group: 2,172 from the family of Parosh; 372 from the family of Shephatiah; 775 from the family of Arah; 2,812 descendants of Jeshua and Joab[c] from the family of Pahath Moab; 1,254 from the family of Elam; 945 from the family of Zattu; 760 from the family of Zaccai; 642 from the family of Bani; 623 from the family of Bebai; 1,222 from the family of Azgad; 666 from the family of Adonikam; 2,056 from the family of Bigvai; 454 from the family of Adin; 98 from the family of Ater, also known as Hezekiah; 323 from the family of Bezai; 112 from the family of Jorah; 223 from the family of Hashum; and 95 from the family of Gibbar. In order for the relations between God and my mind to be set up in the center of God’s will, my mind and body must form such relations. My mind and body must stand in the center of the will. Centering upon my mind and body, such relations must be formed with the ideology of the will. Unless this turns out to be an inevitable fact, God’s ideology of creation will not have anything to do with us. God created so that He could enjoy Himself in relation to such a comprehensive ideology. At the same time, all created things could not but enjoy themselves. However, because of the fall of humankind, such a world of ideology has not yet firmly taken root in today’s humanity. Such a fundamentally directive world of ideology has not yet taken firm root in relation to the body either. That is why God is driving today’s humanity to the path of the conscience internally, and into the closing of the age on a worldwide level, after having sought and set up an external doctrine. Today your mind pursues something. It drives and pushes you to direct your steps toward a certain place. You find that humankind today has no choice but to go to a certain ideological world in connection with me. For that reason, God has been pioneering a lonely path up to now to realize His will through a person’s internal conscience. God tried to consummate the will of the providence through one certain base point in human conscience, but humankind then lost the base point of that conscience. However, since God’s will was to establish the truth for the sake of humankind and have humankind seek that lost base point, He has been making effort until now, through many prophets and sages, to link humans to the base point of that conscience, taking pains Himself. Because that effort is being made in the invisible, limitless world, the heart of the original character of humankind is moving toward it without us being aware of it. of front and back, and left and right. How important is your life on earth? where you will live after earthly life. Centering on ourselves, we must reach the one standard where our minds and bodies can become one and fulfill the providential will. If you understand this kind of path and are living according to the providential will, you will feel joy. Only when our bodies follow and reflect our minds can we claim to represent the heavenly principles. If you can be recognized as this kind of person, you can become happy and form a relationship of love with God. Your minds and bodies can relate with Heaven and earth, centering on the heavenly principles. great will your pain as a parent be? rounding villages will mourn for him. and established a foundation on earth. name of the True Parents! Amen! Amen! When you, who are sitting here today, look at so many people wondering how to lead their lives, you must feel that it is difficult to help them unite their minds and bodies and guide them in the one direction. Even when you look at yourselves, you are probably aware of the fact that unyielding determination and effort must be made to unite your bodies with the direction your minds are pursuing.